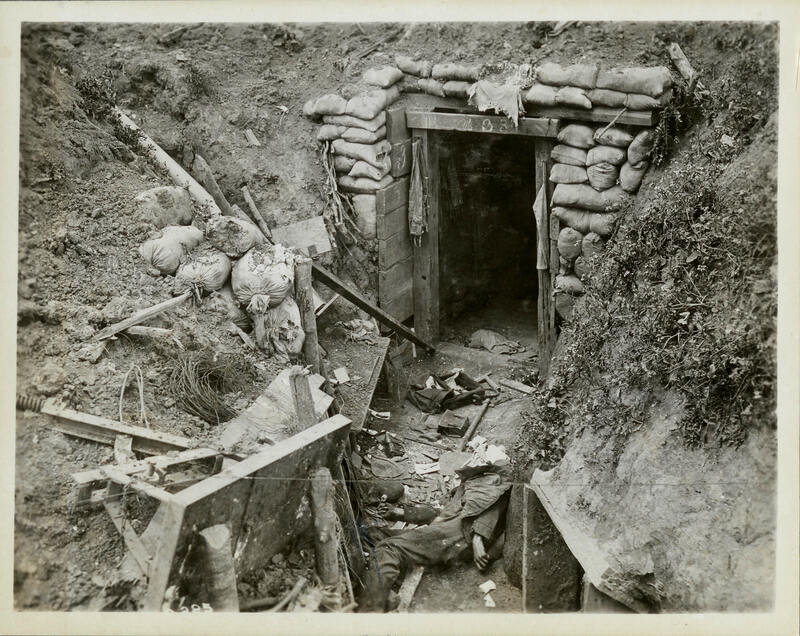 The body of a dead German soldier lies near the entrance to his dugout. While the entrance is intact, the sides of the trench have collapsed. Common items such as an entrenching tool, a water bottle, and ammunition pouches lie scattered on the ground. The numbers on the dugout frame may refer to the unit designation or to the dugout's number in relation to a trench map.